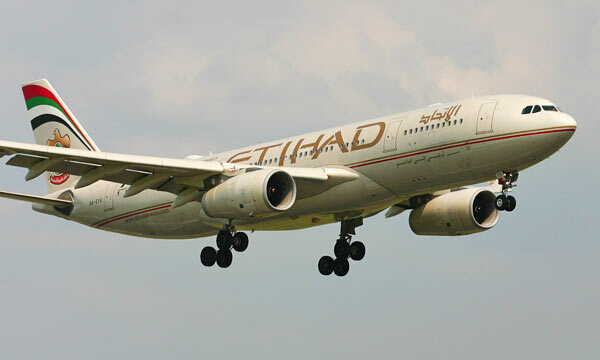 The Airbus A330 is a large, twin-engined widebody airliner for medium range flights. It seats between 250 and 350 passengers. Airbus launched the A330 in June 1987 together with the four-engined, long-range A340 as a single aircraft programme. Airbus Industrie's first airliner, the A300, started life as a short-range aircraft, but from the early days of its history the European consortium made plans to develop stretched and longer-range family-members. The proposed A300B9 was intended as a stretched twin and the A300B11 was to become a four-engined very long range sister-aircraft. Later these projects were renamed TA9 (TA=Twin Aisle) and TA11. Because both aircraft had a lot in common, they emerged as two versions of a single type in 1986, when Airbus renamed them "A330" and "A340". Apart from the propulsion system the A330 and A340 have nearly identical airframes and systems. Each of the two aircraft is optimised for their own task. According to the manufacturer a big twin is less efficient than a four-engined jet over very long sectors. Although the A340 is the real long-hauler, the A330 has an impressive range of 8,700 km, with an option of even 10,200 km. The A330 and A340 had an excellent sales start and within a few years after the launch there were around 500 commitments for both aircraft models together. After this hopeful start, however, sales slowed down and Airbus had to revise its planned production rates downwards. Reasons for this were overcapacity on the market in the early nineties and the bad financial shape of many airlines. With the performance of the first flight on 2 November, 1992, the A330 became the biggest twin to have flown until that time. The A330 was certificated with a choice of three big turbofan engines: the General Electric CF-6-80E1, the Pratt & Whitney PW4168 and the Rolls-Roye Trent 700. The A330 became the first Rolls-Royce powered Airbus type (not taking into account the RR-participation in the V.2500 engine of the Airbus A320). The cockpits of the A330 and A340 are identical enough to allow a single type-rating for pilots. The handling characteristics are almost the same too. Pilots can also easily move to and from flying A320 family-members. So far, Airbus has produced three main versions of the A330: the A330-300, the A330-200 and the A330-200F Freighter. Under development are the A330-800neo and the A330-900neo. The A330-300 seats 335 passengers in a two-class cabin layout. In January 1994 this version entered service with the French domestic airline Air Inter. When sales of the A330-300 became disappointing during the Nineties, Airbus developed the ten frames shortened A330-200, which offers increased weight, more fuel capacity, a strengthened wing and more range. The first flight of this version took place in August 1997 and the A330-200 entered service with Canada 3000 in April 1998. The cargo version A330-200F was officially lauched in January 2006 for entry into service in 2009. This version has a revised nosewheel bay and a blister fairing under the nose. The nosewheel gear is put in a lower position to address the characteristic nose-down pitch of the passenger A330 and A340 aircraft. Thanks to this modification the cabin floor becomes horizontal, easing the loading and unloading of cargo. Airbus considered an even shorter version of the A330, the A330-100, as an A300 and A310 replacement. At first an hybrid aircraft was proposed: a shortened A330 fuselage with an A300-600 wing, but later, to keep maximum commonality with the original aircraft, Airbus proposed the A330-wing. However, the idea of an A330-100 seems forgotten now. When Boeing launched the 787 Dreamliner, Airbus intended to answer with a re-engined A330, designated "A350". However, the airlines wanted something more than just an A330 with new engines and in the end Airbus decided to develop the all-new A350. Because the Dreamliner suffered a lot of delay, Airbus sold many extra A330s to airlines which needed to fill the gap until the delivery of their 787s. And after the Dreamliner went into service, airlines became interested in a version of the A330 equipped with new engines. A reason for this is that the 787 and also the A350 are optimised for longer routes and are less efficient on shorter flights. Airbus hesitated to revive the old idea of a re-engined A330, but a growing number of airlines appeared more interested in an A330neo (new engine option) than in the same-size A350-800, the projected smallest version of the A350. After some time of deliberation, Airbus announced the launch of the A330neo at the Farnborough International Airshow on 14 July 2014. The first customers committing to the A330neo are AirAsiaX, Transaero Airlines and some leasing companies. A330neo customers will have only one engine option, the Rolls-Royce Trent 7000. Because the new engine is heavier than the A330's existing engines, Airbus has to strengthen the wings and develop a new pylon. With the new engines and aerodynamic refinements - including A350-style winglets - the A330neo will use 14 per cent less fuel than its forerunner, according to Airbus. Airbus will develop two versions: the A330-800neo and A330-900neo, both with a maximum take-off weight of 242 tonnes. 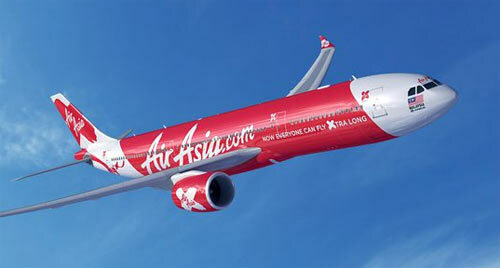 They are the successors of the A330-300 and A330-200 respectively. The first A330-900neo is to be delivered in late 2017 and the first A330-800neo in early 2018. Until mid-2014 Airbus had sold a total of 1342 A330's: 602 A330-200s, 702 A330-300s and 38 A330-200F's. Airbus has commitments for more than one hundred A330neo's, but no firm orders yet. 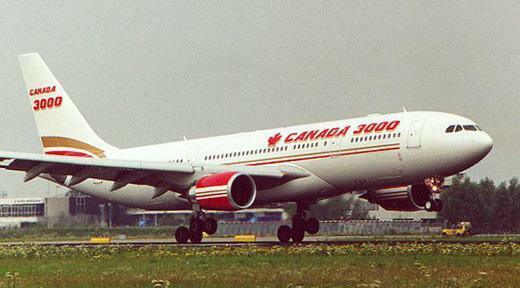 Canada 3000 was the first user of the Airbus A330-200.